BNR centenary marked by an impressive assembly in Minsk and other cities of Belarus and abroad. New Ideas Center launches the Zombie Ideas project to “bury” outdated concepts. Dzeja offers lectures on EU integration. Largest crowdfunding campaign in Belarus: over $105K raised from corporate and private contributors to publish Svetlana Alexievich’s 5-volume edition. School of Inclusive Barista graduates first class. Volunteers translate Civil Law Code into the Belarusian language. Belarus Free Theatre wins Havel Prize. II March Meetings – largest civic activism forum in Belarus – will take place in Minsk on April 20-21: feel free to register and spread the word. New Ideas Centre launches Zombie Ideas project. The project consists of a series of meetings where the experts will examine and bury ideas, which Belarus inherited from the Soviet Union or the traditional society. The first debate is devoted to Soviet education and will take place in Minsk, on 24 April. New Leadership for Eastern Europe project aims to expand the Belarusian and Ukrainian network of leaders to support democratic changes in these countries. The project will select 30 participants who will take part in a conference and training for trainers. Deadline for applications is 20 April. Belarusian organiser is the Institute for Development and Social Market. IPM Research Centre is looking for KEF regional partners. 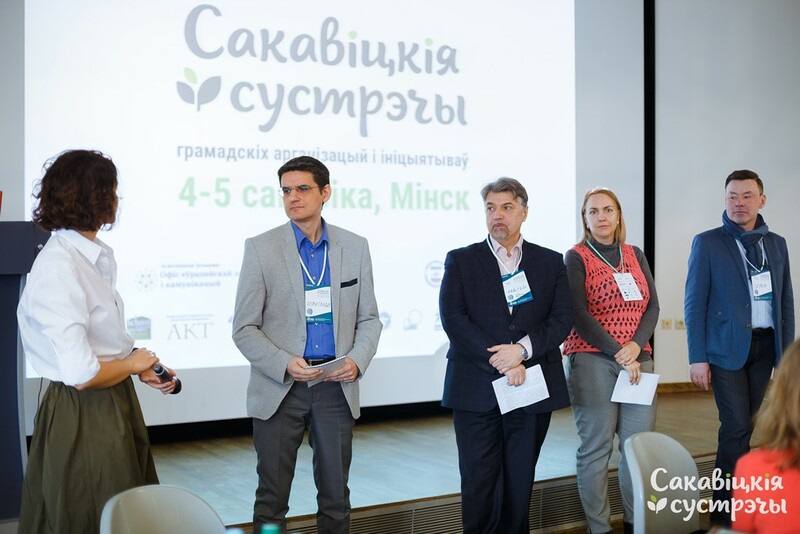 The call aims to increase the capacity of Belarusian CSOs in promoting responsible economic policy at the local level. Six CSOs will be selected to conduct researches, conferences, and seminars in the regions within the framework of Kastryčnicki Economic Forum with the budget of $10K euros. Deadline for applications is 16 April. Public lectures on EU integration processes and institutions are offered by Dzeja initiative. The lecturer is Alieś Lahviniec. The course is taught since 2006 and aims to provide a detailed picture of the EU integration processes and the basic policies. The programme includes debates and discussion of topical issues of European integration with the participation of Belarusian and foreign experts. National University registered in Belarus. It is named in honour of the Belarusian national poet Nil Hilievič. Education will be delivered fully in Belarusian. The former head of the Belarusian Language Society Alieh Trusaŭ is nominated for the rector position. $7-8 million is required for the university to start a full-fledged activity. Belarusians donate 5 times more than needed for Alexievich’s edition. The crowdfunding campaign aimed at publishing Nobel laureate in Literature Svetlana Alexievich’s five-volume edition in Belarusian without censorship has raised over $105K instead of planned $20K. There are 7 days until the end of the campaign. The campaign has become the biggest crowdfunding action in Belarus. BNR centenary marked by an impressive rally in Minsk. The centenary of the proclamation of the Belarusian People’s Republic (BNR) was marked on 25 March by a large-scale rally full of festive spirit in front of the Opera Theater in downtown Minsk. The rally was attended by a crowd estimated from 5,000 to 50,000. Organised by civil society and political parties and supported via crowdfunding, the festive events also took place in other cities of Belarus and abroad. Belarusian-language Civil Code released. This became possible due to the efforts of 70 translators volunteers who for 1,5 months worked on the translation of 600 pages of the Civil Code. So far Belarus has had one of the basic laws only in Russian. Now the text of the Code will be submitted to the Ministry of Justice for approval as an official translation. Belarus Free Theatre won Havel Prize. The prize celebrates those who, with bravery and ingenuity, unmask the lie of dictatorship by living in truth. “Belarus Free Theatre defies oppression in its proud celebration of free speech and the arts, bravely defending civil liberties in a Soviet-ruled state,” said Havel Prize Committee Chairman. The awarding ceremony will be held during the 2018 Oslo Freedom Forum on 30 May. First graduates of the School of Inclusive Barista. In Lida town, five persons in wheelchairs passed an exam for the barista certificate. School of Inclusive Barista is organised in Belarus for the first time. During 2018, the classes will be held in four other cities of Hrodna region. The project is implemented under the Learning to Act program supported by the European Union and DVV International. A new stage of the information campaign on de-institutionalisation is announced by the Office for the Rights of Persons with Disabilities. The new stage aims to influence the opinion and knowledge of Belarusians on a way of a tolerant and positive attitude towards people with mental disabilities. The campaign includes such tools as a thematic video, a mini-grant competition, and a summing up conference in May. Camp for active rehabilitation is organised by the Republican Association of Wheelchair Users on 14-26 July, in Minsk. The programme provides for sports, competitions, lectures on legislation, healthy lifestyle, history of the Paralympic movement, as well as intensive networking. II March Meetings Civil Society Forum to take place on 20-21 April, in Minsk. Sakavitskiya Sustrechy/ March Meetings is a civic activism fest and the largest platform for sharing experiences and establishing the dialogue between the active citizens. The Forum will be held for the second time and focus on the demonstration and celebration of civic activism diversity in Belarus. Registration is open until 15 April. EaP Civil Society Hackathon will take place on 1-3 June, in Minsk and bring together about 60 civil society activists, IT professionals and web-designers from six Eastern Partnership countries. For three days, experts will work together on ICT tools and solutions that would enable CSOs and activists better serve the needs of their communities, and help citizens participate in decision-making. Registration is open. #30 days of biking starts on 1 April in Minsk. On the same day, the action will start around the world and requires riding a bicycle only during all April. A Belarusian organiser, Minsk Bicycle Society, believes that the action is an excellent motivation for those who want to quickly get in shape after the cold season. Participation is free. To date, over 800 participants have already registered to participate the action. The Central Election Commission head says the government can prepare a referendum in Belarus in 70 days with extra-budgetary funds. Alexander Lukashenka reveals he has “a large number of issues to discuss with the European Union.” The government amends legislation to increase control of internet media. The police fight organised crime and war mercenaries. Belarus carries out an emergency check after the Kemerovo fire. Belarusian citizens buy more flats in Moscow than citizens from any other CIS member. The government can prepare a referendum in Belarus in 70 days with extra-budgetary funds. The head of the Central Electoral Commission, Lidzija Jarmošyna, informed that a referendum, the plans on which were recently revealed, can be arranged within 70 days. The Central Electoral Commission organises a national referendum because most sections of the constitution can only be changed in this way. However, Jarmošyna did not specify what constitutional changes the authorities will propose, and said that the Constitutional Court will largely deal with the issue. Moreover, it will be organised with extra-budgetary funds; companies and individuals will transfer money to the Central Electoral Commission’s account. It will cost three-to-four times less than elections because the budget only covers leaflet printing and one week’s work by the election commissions, writes Zviazda. Belarus amended legislation to increase control over internet media. Belarus Segodnia interviewed information minister Aliaksandr Karliukievič on legal amendments designed to regulate the internet in Belarus. The amendments impose on owners of online media outlets responsibility for any information posted. The minister argues that this will make the internet safer for children. The law introduces the term “web resource” to refer to internet media which, after voluntarily state registration, will be able to employ journalists and claim the same rights as traditional media. Their obligations will include banning the dissemination of restricted information, materials containing obscene words and expressions, false information that could harm the state or public interests, and information discrediting the honour, dignity and business reputation of individuals and legal entities. The new law contains one particularly controversial aspect. It introduces mandatory authentication of users who post any information on the internet, including comments. The minister, however, claims that the identification procedure primarily protects the owners of internet resources, who risk being prosecuted should they publish illegal content. Belarus carries out an emergency check following the Kemerovo fire. 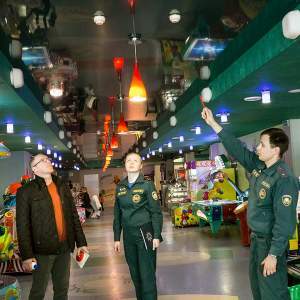 The Belarusian authorities launched an emergency check of all buildings that serve large crowds of people after a fire in the Russian city Kemerovo left dozens of people dead. President Lukashenka demanded that the interior minister, Ihar Šunievič, “severely punishes” any flaws that could lead to similar consequences. In Minsk alone, emergency services checked 103 places and launched preventive measures without imposing penalties in a further 84. As a result, the authorities fined 30 heads of organisations residing in the checked buildings and 13 officials, and launched administrative proceedings against 87 people according to Respublika. The Belarusian police fight organised crime and war mercenaries. Specnaz magazine interviews the head of the Central Department for Combating Organised Crime and Corruption, Mikalaj Karpiankoŭ, on the agency’s 27th birthday. In recent years, grey schemes involving goods subject to import bans in Russia because of sanctions proliferated among Russian dealers. They bring goods from Europe to Belarus, change the labels and documentation, and move them on to Russia as legal imports. Other Russian criminals present themselves as logistics company managers and offer services to Belarusian businesses. They take the goods on false invoices and then vanish into the expanses of Russia. As for criminal gangs, about 700 members and leaders of organised groups remain under monitoring on the territory of Belarus, especially in the prison system. Karpiankoŭ’s department takes measures to prevent the penetration of crime bosses from Russia and Ukraine and thwart their efforts to settle down and invest their money in Belarus. Another recent direction of the department’s work is dealing with Belarusian mercenaries in the war in eastern Ukraine. The agency currently is checking 734 Belarusian citizens and non-citizens for involvement in the conflict. Of these, 188 were recognised as such, and the agency initiated ten criminal cases in 2017. Belarusians buy more flats in Moscow than any other CIS citizens. The Minsk Times quotes a study by the Est-a-Tet investment and property company on apartment purchases in Moscow by CIS citizens. Belarusians appeared the keenest buyers of Moscow flats, accounting for 42.5% of all deals. Residents of Minsk and Brest, aged 35-40, featured most prominently accounting for 25 per cent of such cases taking out mortgages in Russia. In total, residents of CIS states account for around 1 per cent of buyers. Belarusians take the lead, followed by Ukrainians (23.75%) and Kazakhs (13.75%). Belarusians receive assistance from banks which give mortgages on almost the same terms as for Russian citizens. For example, if residents from other CIS states want to buy property in Moscow, they face complex procedures and much red tape, and therefore prefer to rent. Belarusians don’t face such problems. Agriculture should be a business, not a social project. During the national seminar on the development of rural areas and improving the efficiency of the agricultural industry, Lukashenka stated that at the present level of technology and discipline of production state agricultural companies can increase the output by one-and-a-half times. As he said, “Food is politics, both domestic and foreign. The state of the agricultural sector shapes the well-being and stability of the country. This is the most important factor of our independence.” However, problems in agriculture remain widespread. 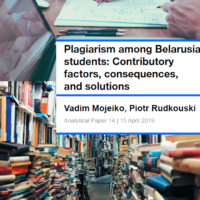 The prosecutor general and head of the State Control Committee reported cases of falsification, theft, corruption and underperformance, writes Belarus Segodnia.